A slightly larger version of the 36" Parlour Creel. 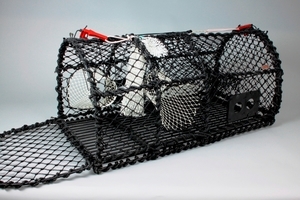 The creel has a 8mm solid welded frame that is hot dip galvanized and plastic coated. 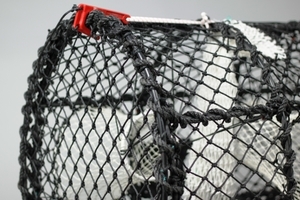 The base of the creel consists of 17 parallell wires which gives the creel its weight, stabillity and low center of mass. 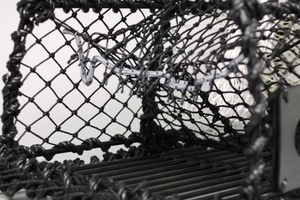 The bait is placed in the double bait bag which can easily be emptied and cleaned. 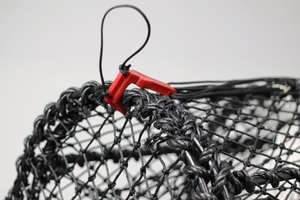 The bait bag closes tight as soon as the hook is placed to fasten the hatch. 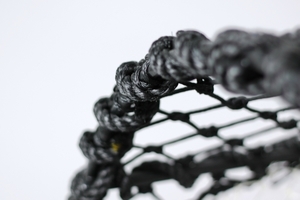 The increased size and weight gives extra stability but foremost an increased catching ability.